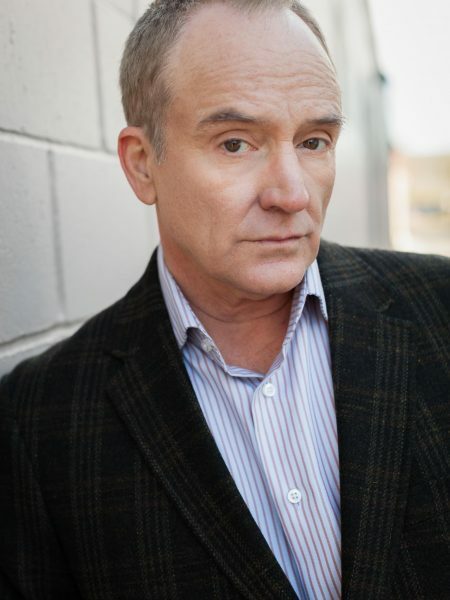 Award-winning actor and activist Bradley Whitford will be the keynote speaker at the commencement ceremony for the USC School of Dramatic Arts on Friday, May 12, at the School’s Bing Theatre. Whitford — a classically trained stage actor who has received critical acclaim for his roles in theatre, film and television — quickly gained overnight fame as the sarcastic yet vulnerable Josh Lyman on NBC’s The West Wing. Working successfully and simultaneously in theatre, film and television, Whitford has become one of Hollywood’s most sought-after talents. Whitford’s recent screen credits include Jordan Peele’s directorial debut Get Out, I Saw The Light, Other People, and the upcoming films Megan Leavey, The Philosophy of Phil, A Happening of Monumental Proportions and Three Christs. He starred in HBO’s Lyndon B. Johnson biopic, All The Way, and also recurs on Amazon’s award-winning comedy series, Transparent, for which Whitford won an Emmy Award. He starred in Showtime’s comedy Happyish and in ABC’s Trophy Wife. Additional television credits include The Good Guys, Studio 60 on the Sunset Strip, the critically acclaimed drama The West Wing, ER, The X-Files and NYPD Blue. Additional film credits include Disney’s Saving Mr. Banks, The Cabin in the Woods, An American Crime, The Sisterhood of the Traveling Pants, Little Manhattan, Kate and Leopold, The Muse, Bicentennial Man, Scent of a Woman, A Perfect World, Philadelphia, The Client, My Life, Red Corner, Presumed Innocent and My Fellow Americans. Growing up in Wisconsin, Whitford studied theatre and English literature at Wesleyan University and attended the Juilliard Theater Center. Whitford most recently received rave reviews for his return to the stage in the production of Boeing, Boeing at the Longacre Theatre, opposite Mark Rylance, Christine Baranski, Kathryn Hahn, Gina Gershon, and Mary McCormack. He appeared on Broadway in Aaron Sorkin’s military courtroom drama, A Few Good Men, and his professional performance debut was in the off-Broadway production of Curse of the Starving Class opposite Kathy Bates. Additional theatre credits include Three Days of Rain at the Manhattan Theatre Club, Measure for Measure at Lincoln Center Theater, and the title role in Coriolanus at the Folger Shakespeare Theatre in Washington, D.C. In addition to his work as an artist, Whitford is influential off-screen in his political and social activism. He was recently featured on an episode of Years of Living Dangerously, National Geographic’s documentary television series on climate change, where he showcased climate change lobbying on Capitol Hill. He is a board member of Let America Vote, Jason Kander’s organization fighting voter suppression, and voiced The Right to Unite, an Alliance for Justice documentary on Supreme Court cases that threaten to undermine the rights of working Americans. He was previously awarded for his activism by Alliance for Justice and Cure Autism Now in 2007 and 2005, respectively. The School of Dramatic Arts commencement ceremony will confer the undergraduate and graduate degrees on Friday, May 12, 2017, at 11 a.m. at the Bing Theatre. Tickets are restricted to guests of the graduates, but the full event will be livestreamed at https://dramaticarts.usc.edu.